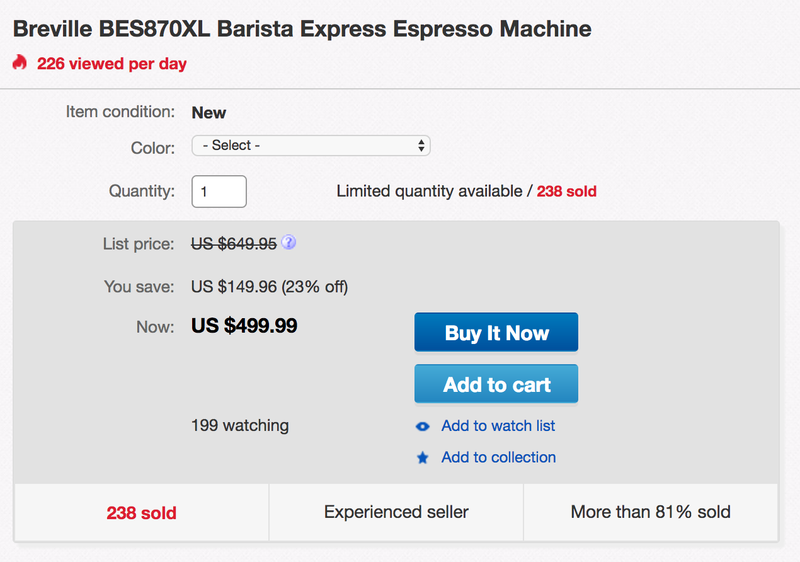 ASavings (trusted seller w/99.2% Positive feedback) via eBay Daily Deals is offering the Breville Barista Express Espresso Machine (BES870XL) for $499.99 shipped. That’s $100 under the going rate at Amazon, Best Buy and most retailers and the best price we can find. This is within $20 of the all-time low. But rarely do we ever see it drop that low. Rated 4+ stars from over 1,000 Amazon customers.